Making the switch to less lawn requires prep work. You can’t let the lawn go wild on its own, because it may not attract pollinators, and it certainly won’t make your neighbors happy! A lawn won’t spontaneously turn into a garden or meadow — it is much more than throwing away your lawn mower. Do your research or consult with an expert who knows about transitioning from lawns. And don’t sell that lawnmower or weedwhacker. In most cases, you’ll still need it to maintain clean edges. Communication is the best way to minimize disagreements and keep everyone happy. Tell your neighbors what your intentions are. Sometimes our imagination or fear gets the best of us, so if your neighbors know what you are doing upfront, they are less likely to look at it negatively and they’ll come to you first with questions or concerns. Signs are another good technique to educate neighbors. You could have your garden certified through the National Wildlife Federation or if it is a County RainScape, put up a RainScape sign. If possible, we suggest you start with the backyard, and not the front. Your front yard is more likely to be subject to weed complaints, and neighbors grumbling as they pass by. It will also allow you to learn from the experience before moving to the more visible parts of your property. Neighbor grumbling is completely natural. 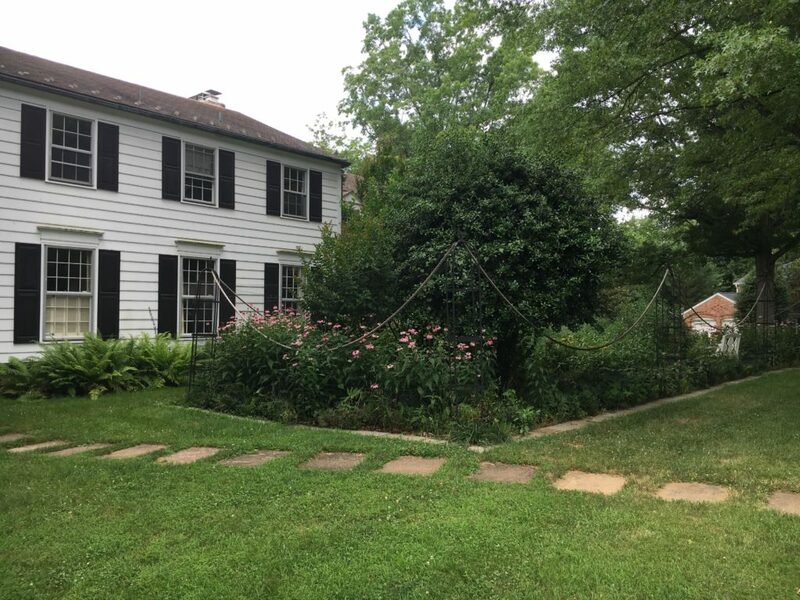 Many folks have become accustomed to the look of lawns in their communities, and make a connection between meadows and tall grasses with disarray, mess, and pests. By following some of these tips, you’ll hopefully minimize the grumbles, and eventually, turn your neighbors opinions around. 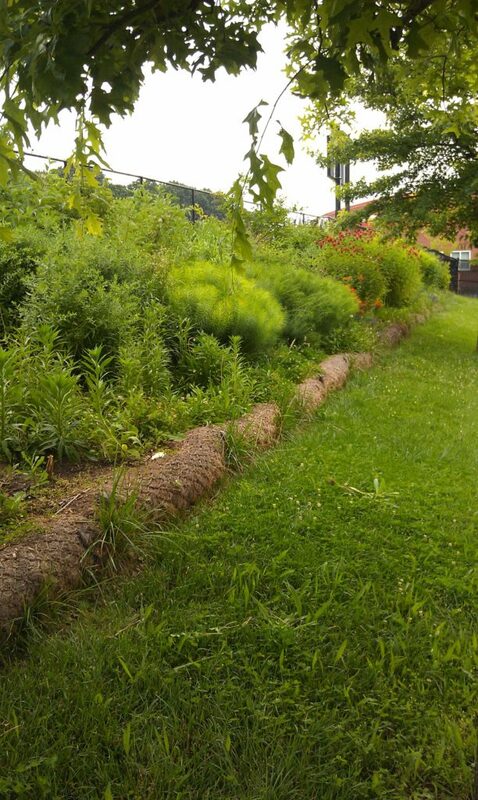 Maintain a really good border around your new meadow or garden area. This is one of the “cues to care” that tells your neighbors that you are actively maintaining the area. We recommend keeping a 2 foot wide mowed area, mulched bed, foundation plantings, decorative stones, or a decorative fence around all sides of your gardens. How about a bench, birdhouse, bird feeder, or sculpture? Learn more here about cues to care. Never let plants hang over into a sidewalk or roadway, or a neighboring property. Never let plants block signs, intersections, or cause any other unsafe situation for the public. Don’t just “let it go” if you decide to stop mowing a lawn–a meadow or forest will not spontaneously appear. Make an effort to convert your lawn into a garden, at the very least by removing some grass and seeding in or planting native plants, whether it be other ornamental grasses, flowers, shrubs, or even trees. People like to see plants that look familiar to them from other gardens, not just overgrown turfgrass. Trim down or mow your new garden space at least once a year. This is another reminder to neighbors that your new garden is intentional. Many people prefer to do their clean-up in spring, to allow overwintering insects and critters to take cover in standing debris, but year-round, you should thin out or trim plants that have a “messier” look. These might be plants that poke up a lot taller than the rest of the ones around them, plants that are broken or bent, or plants that dry out in summer when everything else is green. Consider a RainScape, with the added benefit of soaking up runoff from your roof or driveway. 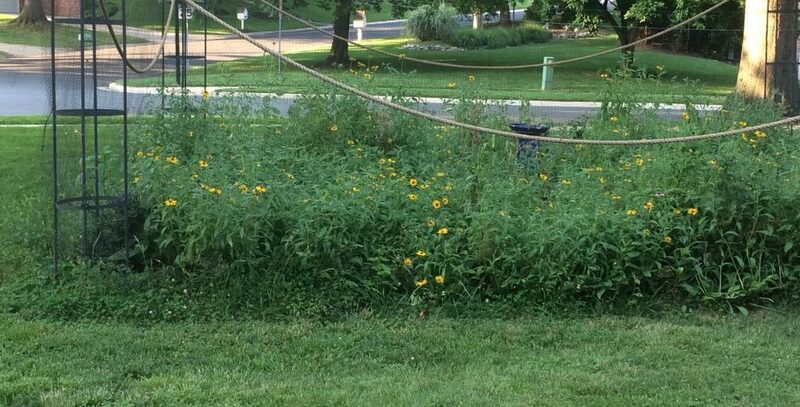 County Code, Chapter 58 (Weeds) says that there can’t be any generalized plant growth more than 12 inches high within 15 feet of any property boundary. Generalized plant growth does not include trees, ornamental shrubs, flowers, or garden vegetables. Check your HOA rules–there’s a chance your community may have specific rules on what you can or cannot do. Always keep out State noxious weeds (thistle, shattercane, and Johnsongrass). I’m the grumbling neighbor. What should I do about a nearby property that is overgrown? If you noticed above, we mentioned talking to your neighbor first. Find out what they are doing with their outdoor space, and if you have specific concerns, let them know with a clear and open attitude. Inform them of the “cues to care”, and that with a few small changes, they may be able to tidy up their yard. Before you call the authorities! 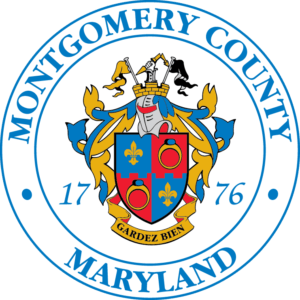 If you believe someone’s yard is in direct violation of the County’s Weed Ordinance mentioned above, you may submit a complaint through 3-1-1. One comment on "Getting rid of your lawn? Follow our plan for a beautiful garden AND happy neighbors"
We have not been able to reach the neighbor regarding his yard issue. The house is located at 5000 Danbury ct Bethesda 20814 , Robert Coch. He does not maintain the front or back yard. The grass has overgrown the driveway and front steps. This has caused mice, mosquitoes and nats. We have had to hirer an exterminating service for our house due to living next door to this property. Mr. Coch also has an unregistered blue ford truck that has been park on the street for the pass several years. I would appreciate a reply to our complaint.